Today’s oils are divided into two main categories: 1. Conventional oil which is made from crude oil that’s refined and 2. Synthetic oil which is made using expensive chemical processes. What’s the difference? Conventional oil is filtered and refined to separate the lubricating properties from those that are not useful. Conventional oil offers basic lubrication. Synthetic oils on the other hand, cost more but have more uniform molecules and better properties. Many new engines require syntehtic oil that allows them to run cleaner with improved gas mileage. Synthetic oil is designed for low or high operating temperatures, high mileage, chemical protection from oxidization and even transferring heat from the engine. When it comes to oil’s viscosity, oil is described by two main values. The first is a number followed by a “W”. The “W” stands for winter and represents the low temperature viscosity of the oil. When this first number is lower than the second, the oil will stay thinner at lower temperatures. The second number is the high temperature viscosity. The higher the second number, the thicker the oil will remain under high temperatures. 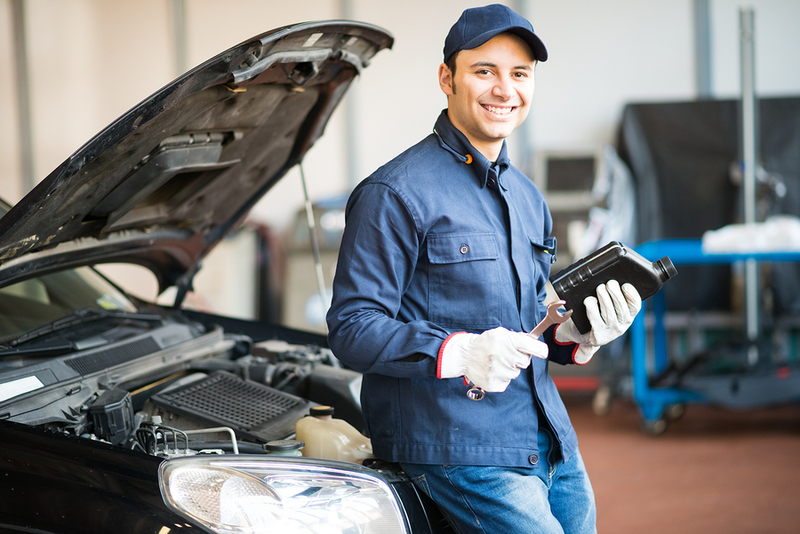 When choosing the correct viscosity for the vehicle, refer to its owner’s manual. These days, performance additives are often added to motor oil to help it do a lot more work. Detergents are added to keep the engine clean and eliminate corrosive acids that can build up when fuel is combusted. There are also features that carry away sludge and debris so that the oil lines in the engine flow freely. Finally, there are oils with additives that improve lubrication and form a film over moving parts to help reduce drag and friction. These oils help condition worn seals to prevent leaks. Selecting the right oil is all about understanding what goes into the oil. While some oils are simple and less expensive, others have ingredients that can help keep older engines running smoothly or protect new ones.